Nowadays, companies and markets are increasingly international and growing numbers of stakeholders are affected by the economic, social and environmental aspects of business, resulting in significant changes in how corporate information is both perceived and published. 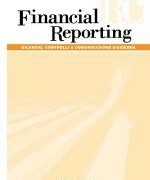 Over the last few years, this new scenario has led to many company boards voluntarily adopting an accounting and company performance communication tool, known as Integrated Reporting, (IR) which is a single disclosure document that satisfies stakeholders’ increasing need for communication. This study’s objective is to contribute to existing literature on the relationship between financial reporting and corporate governance, investigating into whether certain characteristics of the board – including numbers, gender, nationality, average age – influence decisions to adopt IR or not. The analysis was carried out on a sample of 120 Italian companies in different sectors for the year 2014. These results showed a positive relationship between the decision to use IR and the size of the board and the presence of female boardmembers, whereas the presence of foreign and older boardmembers had a negative effect on adopting IR. Adams J., King C., Pendlebury D., Hook D. and Wilsdon J. (2011), Global research report Middle East: Exploring the changing landscape of Arabian, Persian, and Turkish research. (New York: Thomson Reuters). Adams R. B. and Ferreira D. (2004), Gender Diversity in the Boardroom, European Corporate Governance Institute, Finance Working Paper n. 57. Adams R. B. and Ferreira D. (2009), Women in the boardroom and their impact on governance and performance, Journal of Financial Economics, 94(2), pp. 291-309. Adams R. B., Almeida H. and Ferreira D. (2005), Powerful CEOs and their impact on corporate performance, Review of financial studies, 18(4), pp. 1403-1432. Adams S. and Simnett R. (2011), Integrated Reporting: An opportunity for Australia’s not for profit sector, Australian Accounting Review, 21(3), pp. 292-301. Aerts W., Cormier D. and Magnan M. (2006), Intra-industry imitation in corporate environmental reporting: An international perspective, Journal of Accounting and Public Policy, 25(3), pp. 299-331. Ahern K. R. and Dittmar A. K. (2012), The changing of the boards: The impact on firm valuation of mandated female board representation, The Quarterly Journal of Economics, 127(1), pp. 137-197. Ahmed K. and Courtis J. K. (1999), Associations between corporate characteristics and disclosure levels in annual reports: a meta-analysis, The British Accounting Review, 31(1), pp. 35-61. Allegrini M. and Greco G. (2013), Corporate boards, audit committees and voluntary disclosure: Evidence from Italian listed companies, Journal of Management and Governance, 17(1), pp. 187-216. Anderson R. C., Mansi S. A. and Reeb, D. M. (2004), Board characteristics, accounting report integrity, and the cost of debt, Journal of Accounting and Economics, 37(3), pp. 315-342. Ayuso S. and Argandona A. (2009), Responsible corporate governance: Towards a stakeholder board of directors?, IESE Business School, Working Paper No. 701. Bajari P., Fox J. and Ryan S. P. (2009), The random coefficients logit model is identified, National Bureau of Economic Research. Barako D. G., Hancock P. and Izan H. Y. (2006), Factors influencing voluntary corporate disclosure by Kenyan companies, Corporate Governance: An International Review, 14(2), pp. 107-125. Barako D. G.and Brown A. M. (2008). Corporate social reporting and board representation: evidence from the Kenyan banking sector, Journal of Management & Governance, 12(4), pp. 309. Bernardi R. A. and Threadgill V. H. (2011), Women directors and corporate social responsibility, EJBO: Electronic Journal of Business Ethics and Organizational Studies, 15(2), pp. 15-21. Berry W. D. and Feldman S. (1985), Multiple regression in practice (No. 50). (Newbury Park, CA: Sage Publications). Betz M., O’Connell L. and Shepard J. M. (2013), Gender Differences in Proclivity for Unethical Behavior in Michalos Alex C. and Poff Deborah C. (Eds. ), Citation Classics from the Journal of Business Ethics, pp. 427-432 (Netherlands: Springer). Brick I. E., Palmon O. and Wald J. K. (2006), CEO compensation, director compensation, and firm performance: Evidence of cronyism?, Journal of Corporate Finance, 12(3), pp. 403-423. Cai Y., Dhaliwal D. S., Kim Y. and Pan, C. (2014), Board interlocks and the diffusion of disclosure policy, Review of Accounting Studies, 19(3), pp. 1086-1119. Campbell K. and Minguez-Vera A. (2008), Gender diversity in the boardroom and firm financial performance, Journal of business ethics, 83(3), pp. 435-451. Cheng E. C. and Courtenay S. M. (2006), Board composition, regulatory regime and voluntary disclosure, The International Journal of Accounting, 41(3), pp. 262-289. Cheng M., Green W., Conradie P., Konishi N. and Romi A. (2014), The international integrated reporting framework: key issues and future research opportunities, Journal of International Financial Management & Accounting, 25(1), pp. 90-119. Cho C. H. and Patten D. M. (2007), The role of environmental disclosures as tools of legitimacy: A research note, Accounting, Organizations and Society, 32(7), pp. 639-647. Ciocirlan C. and Pettersson C. (2012), Does workforce diversity matter in the fight against climate change? An analysis of Fortune 500 companies, Corporate Social Responsibility and Environmental Management, 19(1), pp. 47-62. Cramer D. (1998), Fundamental Statistic for social research. (London: Routledge). Cramer D. and Howitt D. (2004), The sage dictionary of statistics. (London: Sage Publications). D’Este C., Fellegara A., Galli D. and di Piacenza G. (2013), Livelli di disclosure economico-finanziaria e scelte di integrated reporting nei gruppi a connotazione territoriale in XXXVI AIDEA Conference, The Firms Role in Economy. Does a Growth-Oriented Business Model Exist, pp. 1-26 (Lecce, Italy). Dahya J., Lonie A. A. and Power D. M. (1996), The case for separating the roles of chairman and CEO: An analysis of stock market and accounting data, Corporate Governance: An International Review, 4(2), pp. 71-77. Da Silva Monteiro S. M. and Aibar‐Guzman B. (2010), Determinants of environmental disclosure in the annual reports of large companies operating in Portugal, Corporate Social Responsibility and Environmental Management, 17(4), pp. 185-204. Doane D. P. and Seward L. E. (2011), Measuring Skewness, Journal of statistics education, 19 (2), pp. 1-18. Dumay J., Bernardi C., Guthrie J. and Demartini P. (2016), Integrated reporting: a structured literature review, Accounting Forum, 40(3), pp. 166-185. Eccles R. and Kiron D. (2012), Get ready: mandated integrated reporting is the future of corporate reporting, MIT Sloan Management Review, 53(3), pp. 1-5. Eccles R. G. and Krzus M. P. (2010), One report: Integrated reporting for a sustainable strategy. (Noboken, NJ: John Wiley & Sons). Eccles R. G. and Krzus M. P. (2014), The integrated reporting movement: Meaning, momentum, motives, and materiality. (Noboken, NJ: John Wiley and Sons). Einhorn E. and Ziv A. (2012), Biased voluntary disclosure, Review of Accounting Studies, 17(2), pp. 420-442. EY (2014), Integrated Reporting – Elevating value, EYGM Limited. Fernandez-Feijoo B., Romero S. and Ruiz-Blanco S. (2014), Women on boards: do they affect sustainability reporting?, Corporate Social Responsibility and Environmental Management, 21(6), pp. 351-364. Frias‐Aceituno J. V., Rodriguez‐Ariza L. and Garcia‐Sanchez I. M. (2013), The role of the board in the dissemination of integrated corporate social reporting, Corporate Social Responsibility and Environmental Management, 20(4), pp. 219-233. Garcia-Sanchez I. M., Rodriguez-Ariza L. and Frias-Aceituno J. V. (2013), The cultural system and integrated reporting, International Business Review, 22(5), pp. 828-838. Gerhardy P. (1991), Culture and accounting principles the case of West Germany, Accounting Research Journal, 4(19-29). Giner Inchausti B., Arce Gisbert M., Cervera Millan N. and Ruiz llopis A. (2003), Incentivos para la divulgacion voluntaria de informacion: evidencia empirica sobre la informacion segmentada, Revista Europea de Dirección y Economía de la Empresa, 12(4), pp. 69-86. Gisbert A. and Navallas, B. (2013), The association between voluntary disclosure and corporate governance in the presence of severe agency conflicts, Advances in Accounting, 29(2), pp. 286-298. Gray S. J. (1988), Towards a theory of cultural influence on the development of accounting systems internationally, Abacus, 24(1), pp. 1-15. Grimm C. M. and Smith K. G. (1991), Research notes and communications management and organizational change: A note on the railroad industry, Strategic Management Journal, 12(7), pp. 557-562. Gujarati D. N. and Porter D. C. (2003), Basic Econometrics. 4th. (New York: McGraw-Hill). Gul F. A. and Leung S. (2004), Board leadership, outside directors’ expertise and voluntary corporate disclosures, Journal of Accounting and public Policy, 23(5), pp. 351-379. Guthrie J. and Parker L. D. (1990), Corporate social disclosure practice: a comparative international analysis, Advances in Public Interest Accounting, 3, pp. 159-175. Khanna T., Palepu K. G. and Srinivasan S. (2004), Disclosure practices of foreign companies interacting with US markets, Journal of Accounting Research, 42(2), pp. 475-508. Haniffa R. M. and Cooke T. E. (2005), The impact of culture and governance on corporate social reporting. Journal of accounting and public policy, 24(5), pp. 391-430. Heidrick and Struggles (2014), in European Corporate Governance Report 2014, Towards dynamic governance. Hidalgo R. L., Garcia-Meca E. and Martinez I. (2011), Corporate governance and intellectual capital disclosure, Journal of Business Ethics, 100(3), pp. 483-495. Hofstede G. (2003), Culture’s consequences: Comparing values, behaviors, institutions and organizations across nations. (Thousand Oaks, CA, Sage Publications). Hunter L. M., Hatch A. and Johnson A. (2004), Cross‐national gender variation in environmental behaviors, Social science quarterly, 85(3), pp. 677-694. Iatridis G. E. (2013), Environmental disclosure quality: Evidence on environmental performance, corporate governance and value relevance, Emerging Markets Review, 14, pp. 55-75. IIRC (2011), Towards integrated reporting. Communicating value in the 21st Century. IIRC. — www.theiirc.org. IIRC (2013), The international IIRC. — www.theiirc.org. Izzo M. F. and Fiori G. (2016), The Influence of Corporate Governance on the Adoption of The Integrated Report: A first Study on IIRC Pilot Programme in Izzo M.
and Fiori G. Integrated Reporting, pp. 155-179 (UK: Palgrave Macmillan). Jensen M. C. (1988), Takeovers: Their causes and consequences, The Journal of Economic Perspectives, 2(1), pp. 21-48. Kang H., Cheng M. and Gray S. J. (2007), Corporate governance and board composition: Diversity and independence of Australian boards, Corporate Governance: An International Review, 15(2), pp. 194-207. Kanter R. M. (1977), Men and women of the corporation. (New York: Basic Books). Konrad A. M., Kramer V. and Erkut S. (2008), Critical Mass: The Impact of Three or More Women on Corporate Boards, Organizational dynamics, 37(2), pp. 145-164. KPMG (2012), Integrated Reporting – Performance insights through better business reporting, KPMG International. Kramer V. W., Konrad A. M., Erkut S. and Hooper M. J. (2006), Critical mass on corporate boards: Why three or more women enhance governance, pp. 2-4. (Boston: Wellesley Centers for Women). Larmou S. and Vafeas N. (2010), The relation between board size and firm performance in firms with a history of poor operating performance, Journal of Management & Governance, 14(1), pp. 61. Larran M. and Giner B. (2002), The use of the Internet for corporate reporting by Spanish companies, International Journal of Digital Accounting Research, 2(1), pp. 53-82. Lev B. (1992), Information disclosure strategy, California Management Review, 34(4), pp. 9-32. Lev B. (2004), Sharpening the intangibles edge, Harvard Business Review, 6, pp. 109-116. Marston C. and Polei A. (2004), Corporate reporting on the Internet by German companies, International Journal of Accounting Information Systems, 5(3), pp. 285-311. Meek G. K., Roberts C. B. and Gray S. J. (1995), Factors influencing voluntary annual report disclosures by US, UK and continental European multinational corporations, Journal of International Business Studies, 26(3), pp. 555-572. Menini A. (2009). The role of competitors on corporate disclosure, XXXII EAA Annual Congress. Michelon G. and Parbonetti A. (2010), Stakeholder engagement: Corporate governance and sustainability disclosure, Journal of Management and Governance. disclosure, Journal of Management and Governance, 16(3), pp. 477-509. Mizruchi M. S. (2004), Berle and Means revisited: The governance and power of large US corporations, Theory and Society, 33(5), pp. 579-617. Montemari M. and Chiucchi M.S. (2017), Enabling Intellectual Capital Measurement Through Business Model Mapping: The Nexus Case, in Guthrie, J., Dumay J., Ricceri F. and Nielsen C. (Eds. ), The Routledge Companion to Intellectual Capital. (Routledge, London). Nakano M. and Nguyen P. (2011), Do older boards affect firm performance? An empirical analysis based on Japanese firms. NIBR (2016), Integrated Reporting: focus on integrated thinking. A handbook for the change journey – strategy, governance, culture, organization. Pearce J. A. and Zahra S. A. (1992), Board composition from a strategic contingency perspective, Journal of management studies, 29(4), pp. 411-438. Prado‐Lorenzo J. M., Gallego‐Alvarez I. and Garcia‐Sanchez I. M. (2009), Stakeholder engagement and corporate social responsibility reporting: the ownership structure effect, Corporate Social Responsibility and Environmental Management, 16(2), pp. 94-107. Prado-Lorenzo J. M. and Garcia-Sanchez I. M. (2010), The role of the board of directors in disseminating relevant information on greenhouse gases, Journal of business ethics, 97(3), pp. 391-424. PWC (2015), Implementing Integrated Reporting – PwC’s practical guide for a new business language. Quagli A. (2004), Comunicare il futuro: l’informativa economico-finanziaria di tipo previsionale delle società quotate italiane. (Milano: FrancoAngeli). Radebaugh L. H. (2014), Environmental factors influencing the development of accounting objectives, standards and practices in Peru, The international Journal of Accounting Education and Research. Urbana, 11(1), pp. 39-56. Razali N. M. and Wah Y. B. (2011), Power comparisons of shapiro-wilk, kolmogorov-smirnov, lilliefors and anderson-darling tests, Journal of Statistical Modeling and Analytics, 2(1), pp. 21-33. Rose C. (2005), The Composition of Semi‐Two‐Tier Corporate Boards and Firm Performance, Corporate Governance: An International Review, 13(5), pp. 691-701. Salter S. B. and Niswander F. (1995), Cultural influence on the development of accounting systems internationally: A test of Gray’s  theory, Journal of International Business Studies, 26(2), pp. 379-397. Samaha K., Khlif H. and Hussainey K. (2015), The impact of board and audit committee characteristics on voluntary disclosure: A meta-analysis, Journal of International Accounting, Auditing and Taxation, 24, pp. 13-28. Sartawi I. I. M., Hindawi R. M., Bsoul R. and Ali A. E. J. (2014), Board composition, firm characteristics, and voluntary disclosure: The case of Jordanian firms listed on the Amman stock exchange, International Business Research, 7(6), pp. 67-82. Shapiro S. and Wilk M. (1965), An analysis of variance test for normality (complete samples). Biometrika, 52(3-4), pp. 591-611. Sonnenfeld J. A. (2002), What makes great boards great, Harvard Business Review, 80(9), pp. 106-113. Sotorrio L. L. and Sanchez, J. L. F. (2010), Corporate social reporting for different audiences: the case of multinational corporations in Spain, Corporate Social Responsibility and Environmental Management, 17(5), pp. 272-283. Spero L. L. (1979), The extent and causes of voluntary disclosure of financial information in three European capital markets: An exploratory study. (University Microfilms). Srinidhi B., Gul F. A. and Tsui J. (2011), Female directors and earnings quality, Contemporary Accounting Research, 28(5), pp. 1610-1644. Stubbs W. and Higgins C. (2012), in Institute of Chartered Accountants, Sustainability and Integrated Reporting: A Study of the Inhibitors and Enablers of Integrated Reporting. Australia. Torchia M., Calabro A. and Huse M. (2011), Women directors on corporate boards: From tokenism to critical mass, Journal of Business Ethics, 102(2), pp. 299-317. Useem M. (1993), Executive defense: Shareholder power and corporate reorganization. (Boston, MA: Harvard University Press). Uwuigbe U. N., Egbide B. C. and Ayokunle A. M. (2011), The effect of board size and board composition on firms corporate environmental disclosure: a study of selected firms in Nigeria, Acta Universitatis Danubius. OEconomica, 7(5), pp. 164-176. Van Ness R. and Seifert C. (2007), Boards of directors and corporate performance: An analysis model, Journal of Business Research, 7(3), pp. 11-21. Vani Kant B. (2001), Logit and Probit. (London: Sage Publishing). Watson W. E., Kumar K. and Michaelsen L. K. (1993), Cultural diversity’s impact on interaction process and performance: Comparing homogeneous and diverse task groups, Academy of Management Journal, 36(3), pp. 590-602. Zeng S. X., Xu X. D., Yin H. T. and Tam, C. M. (2012), Factors that drive Chinese listed companies in voluntary disclosure of environmental information, Journal of Business Ethics, 109(3), pp. 309-321.